Jewish Lights Publishing, 9781580232173, 388pp. "Rabbi Nachman's stories are among the great classics of Jewish literature. They have been recognized by Jews and non-Jews alike for their depth and insight into both the human condition and the realm of the mysterious." For centuries, spiritual teachers have told stories to convey lessons about God and perceptions of the world around us. 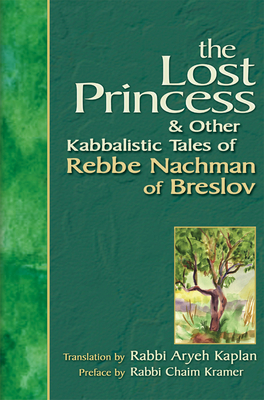 Hasidic master Rebbe Nachman of Breslov (1772-1810) perfected this teaching method through his engrossing and entertaining stories that are fast-moving, brilliantly structured, and filled with penetrating insights. This collection presents the wisdom of Rebbe Nachman, translated by Rabbi Aryeh Kaplan and accompanied by illuminating commentary drawn from the works of Rebbe Nachman's pupils. This important work brings you authentic interpretations of Rebbe Nachman's stories, allowing you to experience the rich heritage of Torah and Kabbalah that underlies each word of his inspirational teachings.